The little ladies absolutely love Frozen, there is rarely a day that goes by that we don't have the soundtrack blaring out in the car with them signing 'let it go' at the top of their voices. They have Elsa and Anna dolls, Elsa and Anna costumes and of course love to watch the movie over and over again. 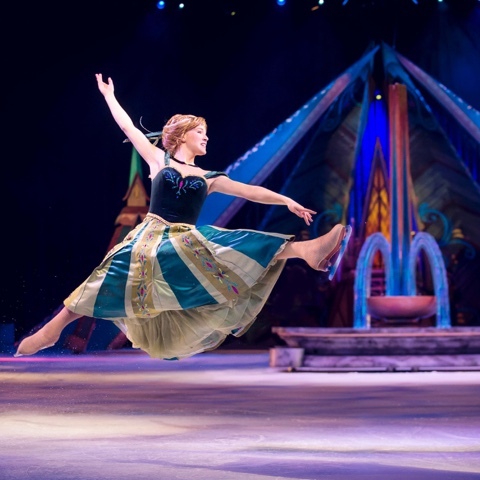 We are super excited to be taking the girls to see the Disney Frozen On Ice spectacular this month at the Motor Point Arena in Nottingham. 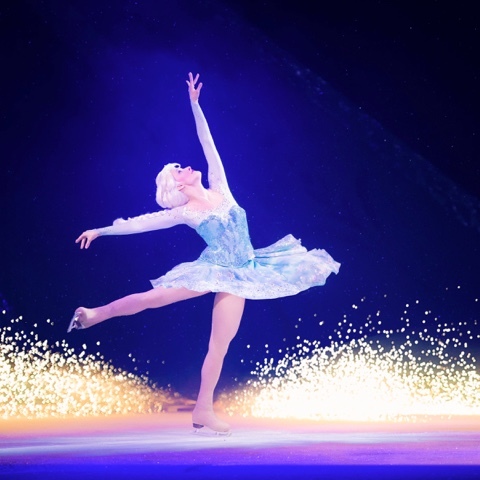 I don't think there could be a more fitting tale brought to life on the ice, it promises to be totally magical and I know they will love every minute of it. The little ladies love the magic of Disney and are at an age when their imagination runs away with them and they totally immerse themselves in it. Our trip to Disneyland Paris earlier this year was incredible and the looks on their faces as they saw their favourite princesses and watched the shows there are something I will always treasure. I'm really looking forward to seeing the wonder on their faces as they watch the show. 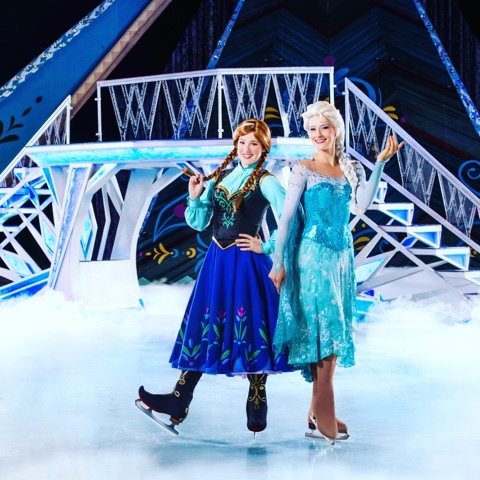 The ice rink will be transformed into Arendelle and we'll get to see Anna, Elsa, Olaf, Kristoff and Sven and sing and dance along to the films hit songs as they tell the full story. As if that isn't enough the show is hosted by Mickey and Minnie mouse and they will be special appearances from Disney princesses and characters from all time favourites such as Toy Story, Finding Nemo and The Lion King. The little ladies know we are going to see Frozen on Ice but I think I'll keep these special appearances quiet as they'll be a wonderful surprise for them. There's also a warm up for the show and the opportunity to learn the snowman dance. 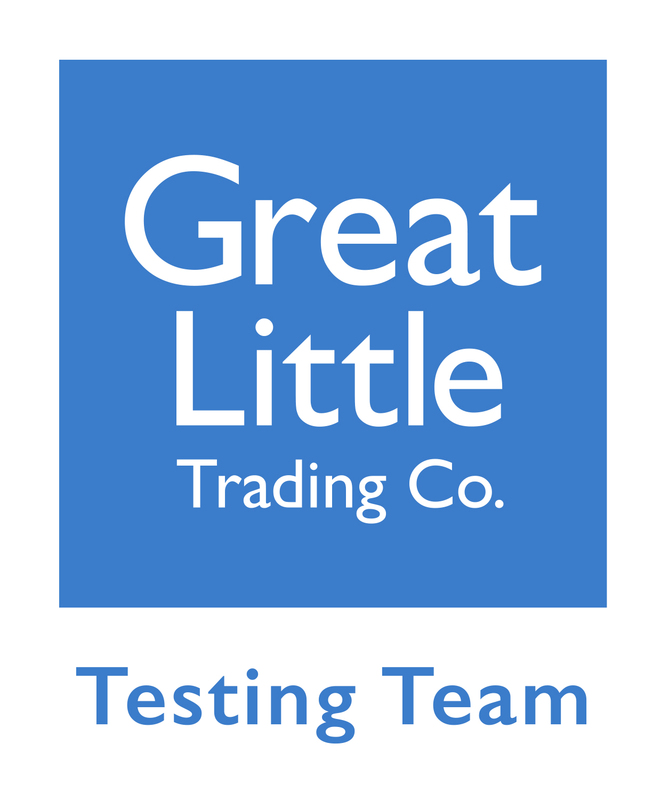 The girls will love this as they like nothing more than to sing and dance together and I think it will really help them engage with the performance and build on their excitement, which I'm sure we'll know about the whole way there in the car! We're going to let the girls wear their princess dresses to the show so they feel part of it and I can't wait to take my little Elsa and Anna to see their favourite Disney sisters. It will be such a special treat and hopefully it will be something they'll remember for a long time to come. 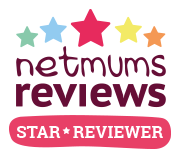 We'll be reporting back with a full review of our experience following the show so watch this space. 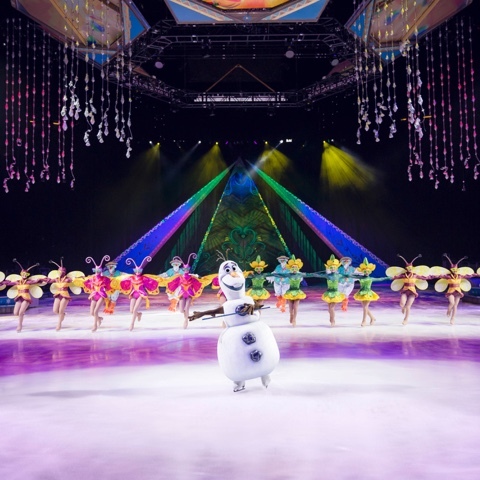 Have you been to a Disney On Ice show before? I'd love to know what you thought, please let me know in the comments below.